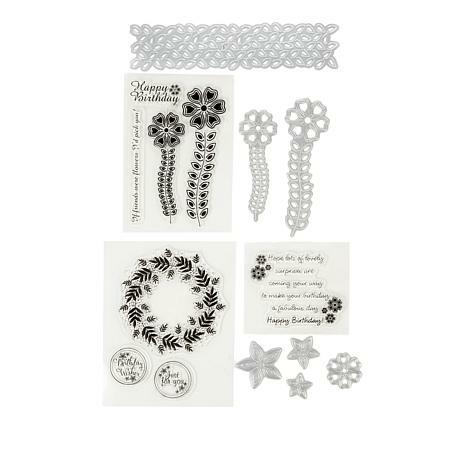 Adorn your crafts with lush foliage and sweet blooms using this Stamp and Die set from Crafter's Companion. Based on beautiful original drawings by artist Chloe Endean, they'll make the perfect theme for cards, invitations, décor and more, for nearly any occasion. Channel your green thumb and watch your creativity blossom! Really nice set of stamps and dies. It even has a sentiment! Great set if you need a little of everything to get started. 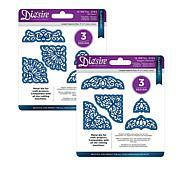 Just add your own cardstock, ink pad, adhesive and optional glitters. 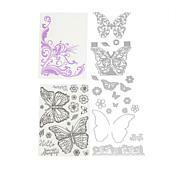 Very well put together set for making a very of cards as soon as it is received! Chloe has a unique style and it fits me perfectly. 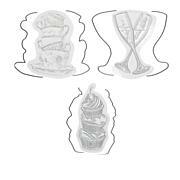 The same high quality stamps & dies that we are accustomed to from Crafters Companion. You will only be disappointed if you wait too long and this kit sell out. They always do! Pairs perfectly with the Gemini machines performance. These are so fun and love the dies too. 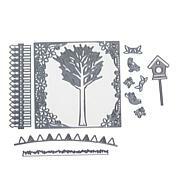 All of Chloe's stamp and die sets never disappoint. Very versatile and easy to use. The wreath stamp with the sentiment stamps are my most favorite in this set! Very pretty. I suggest cutting with the die first, then stamping.